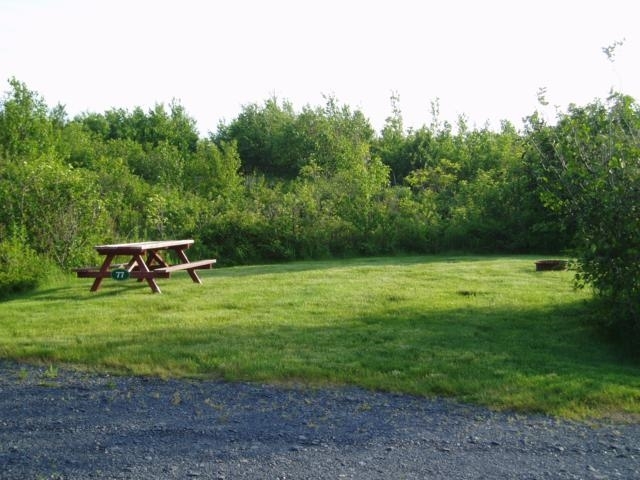 Site #77 is a grassy, level, un-serviced campsite with a view to the Bay of Fundy. 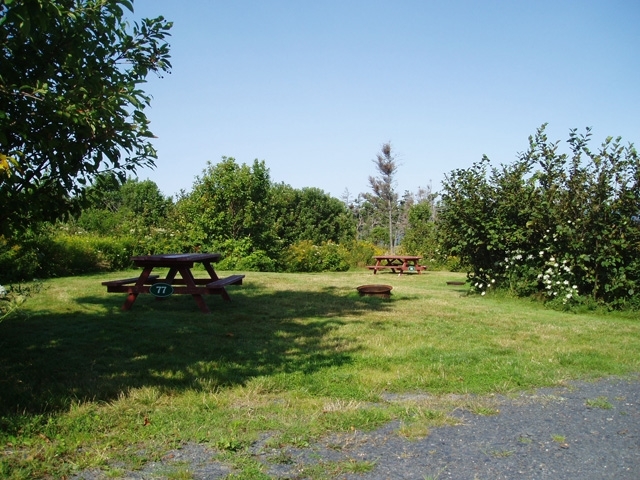 It shares a space with Site #78 - makes a convenient location for parties who wish to camp together. This site will accommodate one tent or vehicle of 22 feet or less - tent-trailer, hard-top, van, truck camper, or small RV. 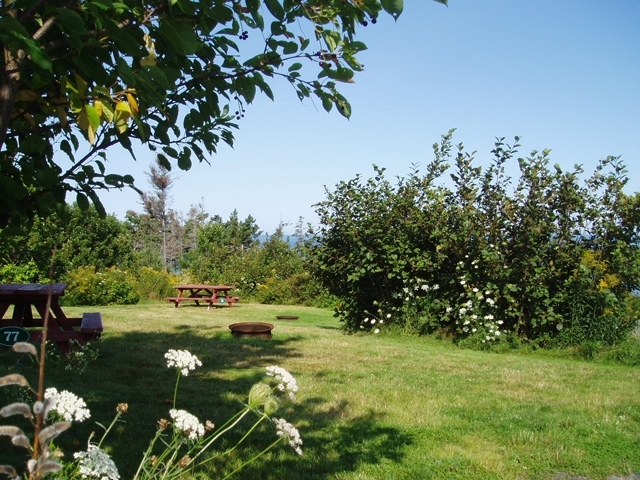 The campsite is equipped with a picnic table and fire ring, and drinking water taps, portable toilets and the common path to the oceanfront are within an easy walk. We loved your campground! It is well cared for and in a very beautiful location.